Great news! JYJ‘s Jaejoong will be releasing his first full-length solo album in late October! 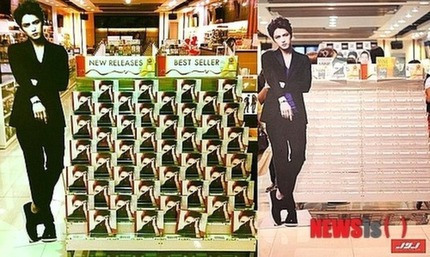 Jaejoong’s previous album received a lot of love all over the world, topping Japan’s iTunes chart and gathering 45,000 fans for Jaejoong’s solo concert in Yokohama. The music video for “Mine” also accumulated 32,000,000 views on China’s YinYueTai. It remains to be seen what new records Jaejoong’s new solo album will set. Kim Jaejoong’s January single ‘I’ has become a hot topic for its long-lasting popularity both domestically and internationally. Last week, the music video of ‘MINE’, the title song of Kim Jaejoong’s first solo mini album, hit over 25 million views on China’s biggest music video site Yinyue Tai. 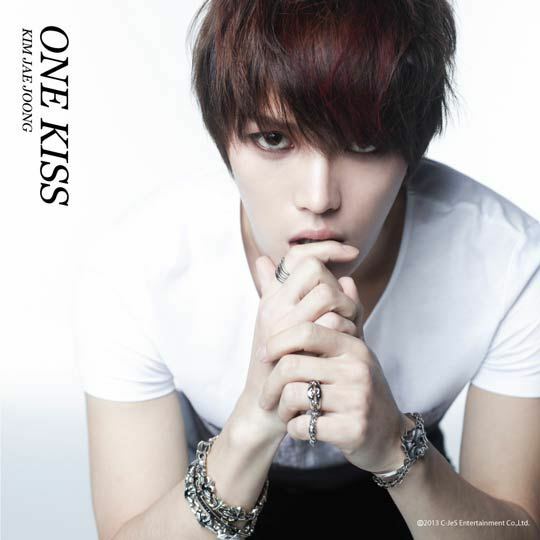 Kim Jaejoong’s first solo mini album was released in January and sold all 140,000 copies, with its following repackage album ‘Y’ selling all 50,000 copies as well. It was recently voted the best album of the first half of 2013 on Synnara Records. 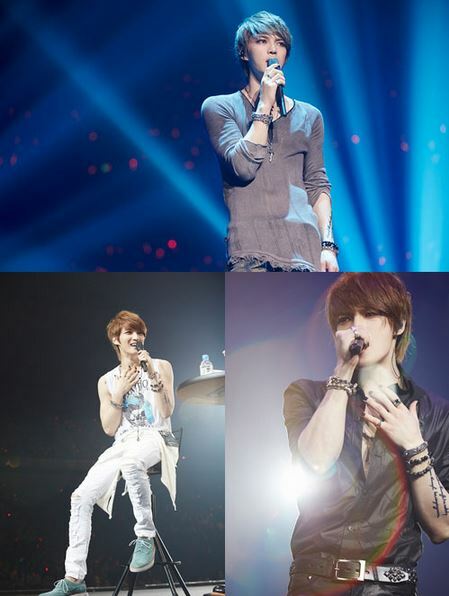 Jaejoong ended his 5-month long Asia Tour together with over 45,000 Japanese fans. From 24 to 26 June, Jaejoong held his “Kim Jaejoong Grand Finale Live Concert and Fanmeeting” at the Yokohama Arena, meeting with over 45,000 fans. For Jaejoong’s concert this time, as soon as the ticket sales begun, the number of ticket applications received exceeded (the number of tickets available) by 4 times, and tickets were completely sold out. In response to requests from fans, standing seats and restricted view seats were added, and sold out completely as well, demonstrating Jaejoong’s high popularity. During the first part, the fan meeting segment, Jaejoong spent an enjoyable time with the audience that filled the venue over the 3 days. During the second part, the concert segment, aside from singing songs from his first album, Jaejoong also touched the fans by singing popular Japanese songs such as “Precious”, “Crescent Moon” and “Glamorous Sky”. During the second segment, when Jaejoong transformed into a rocker and appeared together with the live bands, the fans cheered loudly. 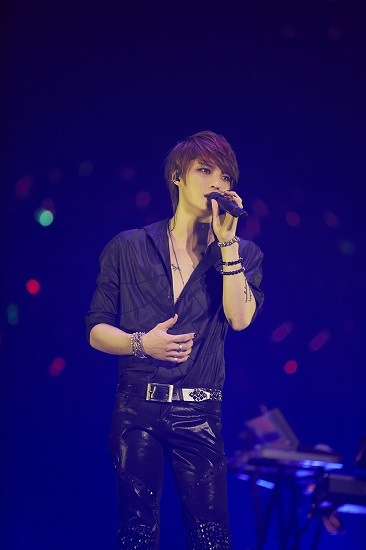 Jaejoong opened the mini-concert with “Mine”, the title track from his first solo mini-album, and sang all-live covers of popular Japanese songs including “Moonlight” and “The Last Rain” aside from the songs previously revealed through the setlist. When Jaejoong began singing Ayaka’s “Crescent Moon”, the fans did a little event for Jaejoong by taking out their respective green lightsticks. And during B’z’s “Ultra Soul”, Jaejoong heated up the atmosphere of the concert as he and his fans took turns singing verses. In response to the endless calls from fans for an encore, Jaejoong sang Nakashima Mika’s “Glamorous Sky”, presenting an explosive live stage right up to the last song, to which fans also gave their passionate support right up till the end. Even after Jaejoong left the stage following the encore stage the fans continued calling out “Kim Jaejoong” for some time. Jaejoong then went back out on stage without a mike, shouting his thanks to the fans. 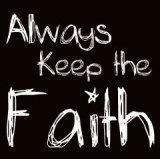 Many fans were seen tearing up and not leaving the venue. On another note, following the release of his first solo album in January, Jaejoong began his Asia Tour through Korea, Thailand, China (Shanghai, Nanjing), Hong Kong, Taiwan, and finally Japan, and met with over 83,000 fans in a total of 7 cities. JYJ’s Kim Jaejoong announced the beginning of his Asia Tour in Thailand. On the 17th, Kim Jaejoong shared a special experience with 5,000 fans through his ‘Your, My and Mine in Thailand’ concert at the Bitec Hall in Bangkok. 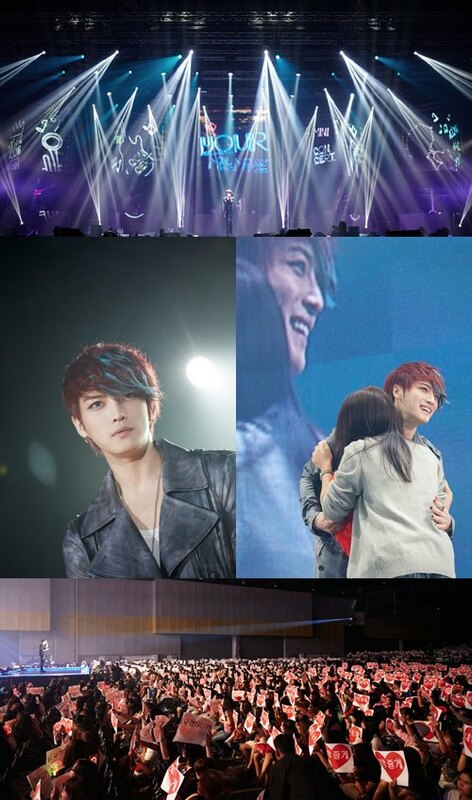 The concert, which was prepared to commemorate the release of Kim Jaejoong’s first solo mini album, was a combination of a fanmeet and a mini concert and the star thrilled his Thai fans with a quiz show, a rock-paper-scissors game, and a cooking show that involved the audience. After the end of the first half of the concert, Kim Jaejoong transformed into a rocker and performed ‘One Kiss’ from his album, and also performed rock versions of ‘Though I Loved You’, ‘For You’ and ‘I Always’. After performing an explosive rendition of Kim Jaejoong’s title song ‘Mine’, he also sang ‘I’ll Protect You’, which was met by a special event by the fans in which they all held up signs that said, ‘I’ll give you my heart’ and sang along with him. At the fans’ perfect Korean pronunciation, Kim Jaejoong asked, “You’re sure we’re in Thailand?” and prepared lollipops for all 5,000 fans to celebrate Valentine’s Day. Meanwhile, Kim Jaejoong will be continuing his Asia Tour, following his concert in Thailand. 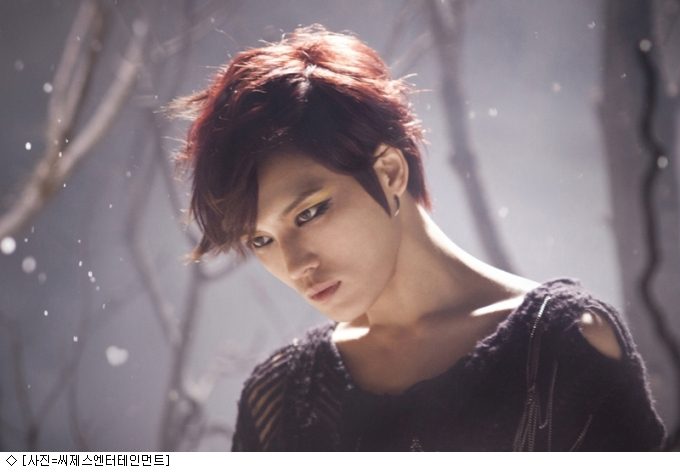 Hallyu group JYJ’s Kim Jaejoong (27) has proved his popularity in the Philippines. Ahead of this, all 120,000 copies that were initially printed were sold out as well. The album also topped album sales charts in Taiwan and Japan, and ranked second on the Billboard World Album Charts. Kim Jaejoong is planning to release his repackage album ‘Y’ on the 26th. 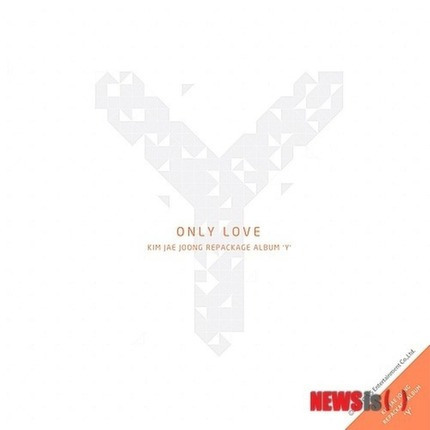 It will include two new tracks including ‘Only Love’, as well as a special photobook. Pre-orders will be taken from the 13th to the 19th of this month. Kim Jaejoong is currently preparing for his Thailand performance on the 17th and is also planning fansign events in March. 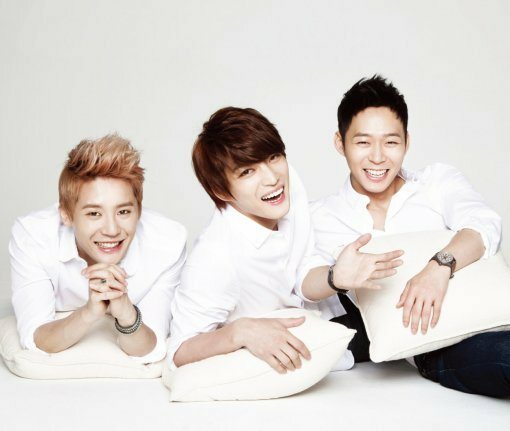 JYJ are planning to release a new album this summer. Since releasing their latest album ‘In Heaven’ in 2011, Kim Jaejoong, Park Yoochun and Kim Junsu have been focusing on their individual activities. They are now preparing to release their first album as JYJ in two years and are currently busy working on the tracks that will be included in the album. They were extremely successful last year as individuals. Leader Kim Jaejoong made his mark in a variety of fields with the drama ‘Dr. Jin’, the movie ‘Jackal is Coming’ and his first solo album ‘I’. Park Yoochun dominated various end-of-the-year acting awards for his roles in the dramas ‘Rooftop Prince’ and ‘I Miss You’. Kim Junsu received the Best Lead Musical Actor Award at the 2012 Korea Musical Awards for his roles in ‘Elisabeth’ and ‘Tears of Heaven’, and also proved that he has the strongest ticket power in the market. Through these activities, JYJ have increased their brand value. They plan to take this momentum to make 2013 the year to focus on their group activities. But for now, they plan to put their all into individual activities. Kim Jaejoong will be holding a mini concert and fanmeet on the 26th and 27th at the Ilsan KINTEX to commemorate the release of his album and will then continue on to an Asia tour. Park Yoochun recently finished filming for ‘I Miss You’, and is now filming CFs and preparing fanmeets while Kim Junsu is working on music and taking a break.